E.A.T. : It's Taco Night in RVA! It's Taco Night in RVA! 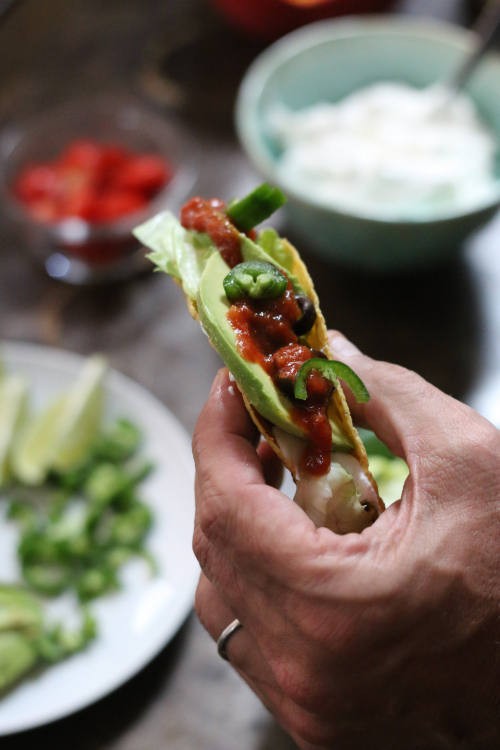 It's no secret, I love taco night around the house! All day is spent walking around going "it's tacccoooo night!" 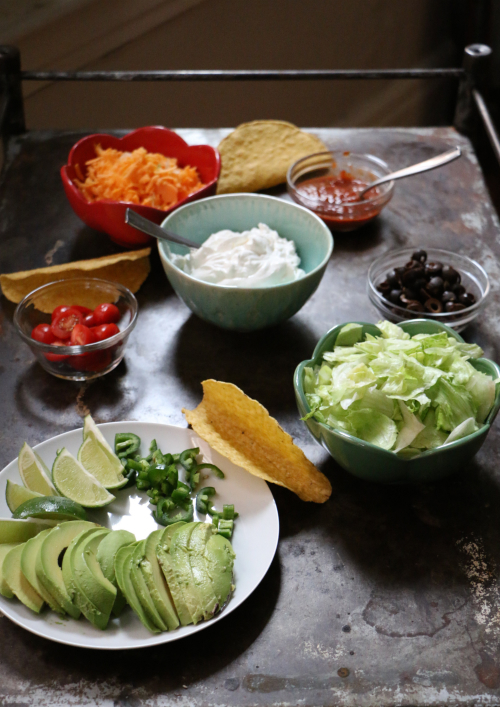 So I snapped a few pictures of ingredients that are prepared for my taco night. I have the usual suspects — sour cream, cheese, lettuce and taco sauce. 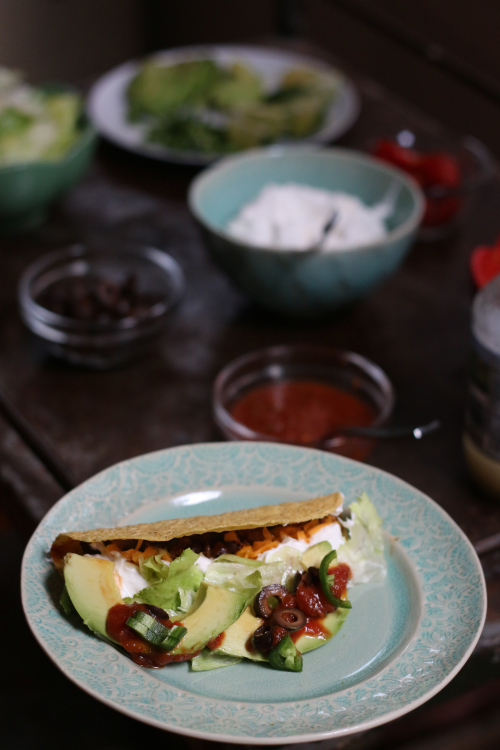 There are few items that may be a little outside the normal family taco topping like sliced black olives, diced jalapeño, sliced cherry tomatoes, avocado wedges and fresh lime for squeezing. I use grass-fed ground beef with a can of organic black beans (mixed in once the beef is cooked) and the one thing I always use is an all natural version of the powdered taco mix. I just find this really makes my perfect taco. The only issue that comes up is how to fit everything inside the shell! I usually down 7-8 tacos on taco night, believe it or not. So my madness behind this post? What am I missing on my taco that is a favorite addition on yours? Let me know in the comments below and I will be sure to try it on my next tacccoooo night!